Mobile advertising revenue is on the rise across the globe according to new data from the Interactive Advertising Bureau (IAB) and its Mobile Marketing Center of Excellence, IAB Europe and IHS Technology. 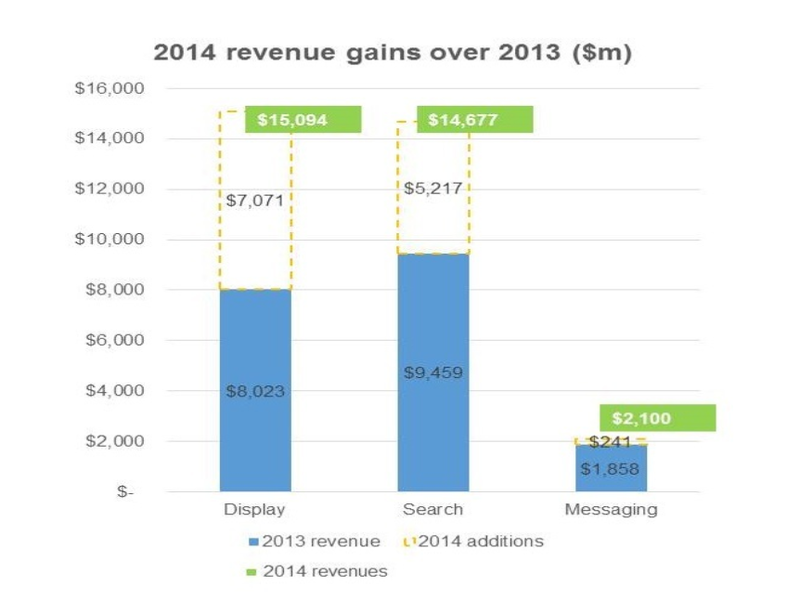 In fact, the data shows that mobile ad revenue surged 64.8 percent to $31.9 billion in 2014 from $19.3 billion in 2013. According to the report, this growth has been driven by shifts in consumer usage patterns and industry innovations. Further data shows that mobile display grew by 88.1 percent, representing 47.4 percent of the total global mobile advertising revenue in 2014 and overtaking search as the dominant segment. That said, mobile search was up 55.2 percent, and messaging grew 13 percent as users continued to migrate from operator-owned messaging services to app-based messaging platforms. It is important to note that year-over-year growth was led by North America, which saw a 76.8 percent increase compared to 2013 data. That said, the Middle East and Africa saw 68.5 percent growth, while Latin America saw 66.1 percent growth, Europe saw 58.6 percent growth and the Asia-Pacific region saw 54.5 percent growth compared to 2013.